Securities offered through LPL Financial, Member FINRA / SIPC. Investment advice offered through Wealthcare Advisory Partners Llc, a registered investment advisor. 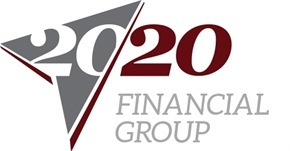 Wealthcare Advisory partners Llc and 20/20 Financial Group are separate entities from LPL Financial. Investment products and services available only to residents of: CA, CO, CT, DE, FL, GA, NC, NJ, NY, PA, SC, TX, and WA. Daniel Shevlin is licensed to sell insurance products in the states of: DE, NJ, PA, SC and WA. Robert Carter is licensed to sell insurance products in the states of: DE, FL, MD, MI, MN, NJ, NY, PA, SC, TX, and WA.